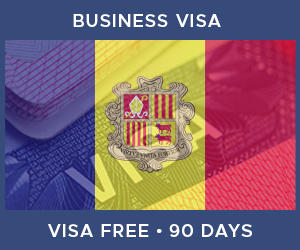 This page provides visa information for UK Citizens wanting to travel to Andorra. Visa Status: Visa Free Travel Citizens of the United Kingdom do not require a visa to travel to Andorra as long as their stay is shorter than the maximum stay. UK citizens are granted a visa-free stay of 90 days in Andorra. After the visa-free period has expired, you will be required to exit the country. Citizens of the United Kingdom can enter Andorra without a visa for up to 90 days. The information found here is based on the response provided by the Andorran embassy. We recommend you always double check the latest information directly with the embassy before you travel. If you wish to travel for longer than the visa-free period, you should speak to the Andorran embassy directly on 0208 874 4806. In order to travel to Andorra there are a few requirements. Click on any of the icons below to learn more about each one. Single parents or other adults travelling alone with children should travel with a copy of any custody documents and written authorisation from the other parent.